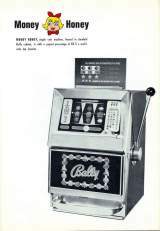 Slot Machine published 55 years ago by Bally Mfg. 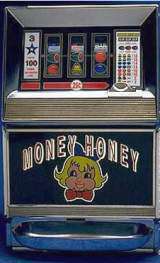 Money Honey © 1964 Bally. Available as a 25 cent or 5 cent slot. 'Money Honey' is the first electro-mechanical hopper pay slot machine. It revolutionized the slot machine market.